A.P. Møller – Mærsk A/S has downgraded its profit guidance for 2018 amid growing uncertainties on the market impacting container freight rates including geopolitical risks, high bunker prices and trade tensions. As a result, Maersk forecasts that its EBITDA will be in the range of USD 3.5-4.2 billion and that the group will post a positive underlying profit for 2018. The previous expectation for EBITDA was in the range of USD 4.0-5.0bn and an underlying profit above USD 356 million, as reported in 2017. The remaining part of the guidance is unchanged. ”We delivered good progress in Q2 on revenue, volumes and unit cost across our business, and results improved from a weak Q1. Spot freight rates have restored after a significant drop in Q2, and volumes are growing in line with market. 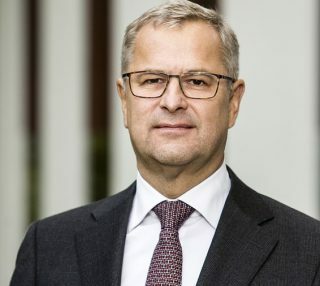 However, we continue to encounter very high bunker prices, which we have not been able to get fully compensated for in freight rates, leading to an adjustment in our expectations for the full-year 2018,” Maersk’s CEO Søren Skou said. Danish transport and logistics major said that the group’s revenue was USD 9.5 billion in the second quarter of 2018 and EBITDA stood at USD 0.9 billion. For the first half of the year, the revenue came at USD 18.8 billion and the group’s EBITDA reached USD 1.6 billion. EBITDA for the second quarter in Maersk’s Ocean division came at USD 0.7 billion, which the conglomerate ascribed to improved unit cost. As disclosed, the cost was down both in total and at fixed bunker by more than 5 percent compared to the first quarter of the year. However, Maersk said that its profitability was negatively impacted by an average bunker price increase of 28 pct compared to the same period last year while average freight rates were 1.2 pct lower. This is the second quarterly report from the business conglomerate in a new financial reporting structure. The structure features four new business segments Ocean, Logistics & Services, Terminals & Towage and Manufacturing & Others, which are aligned with the strategic focus on growing the non-ocean part of the business disproportionally to the ocean.